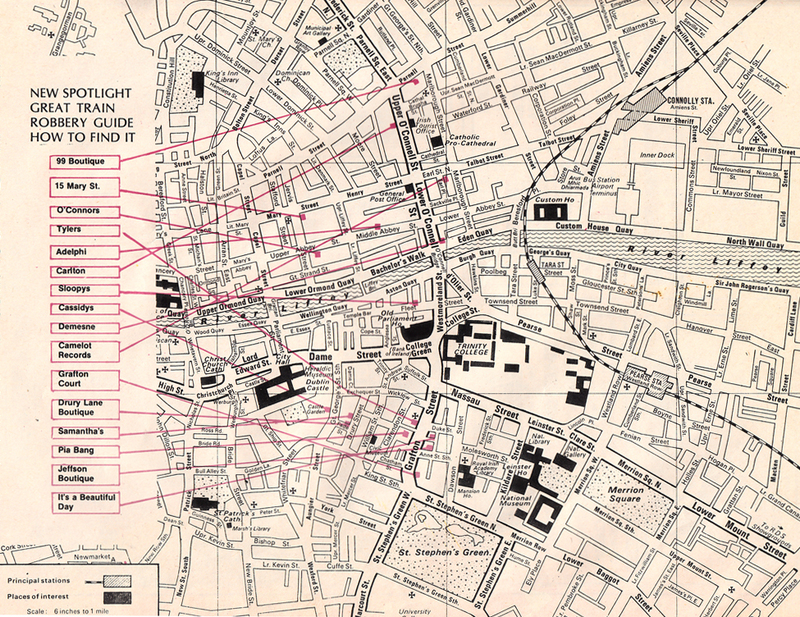 This is a 16 page pull-out guide to Dublin which came free with New Spotlight, March, 1972. 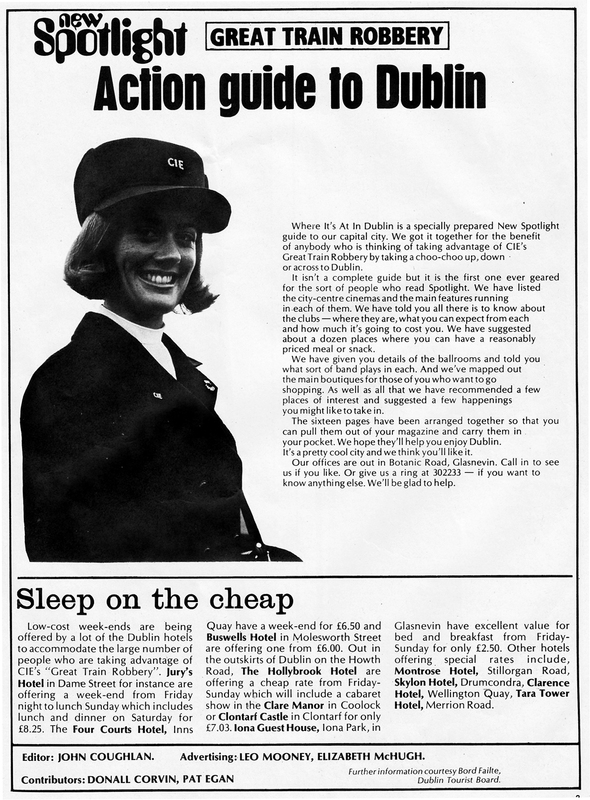 The guide, which was compiled by New Spotlight editor/publisher John Coughlan along with Donal Corvin (RIP) and Pat Egan, was produced to tie in with a CIE reduced train fares campaign called The Great Train Robbery. 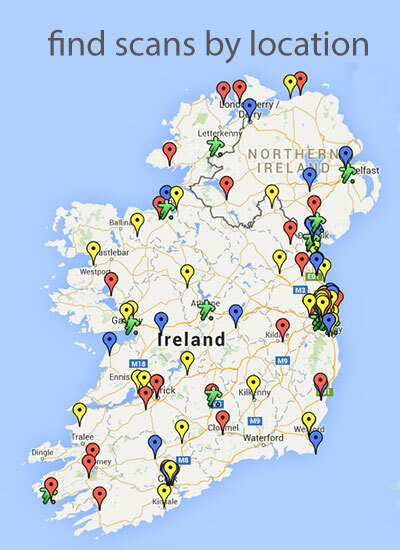 With Bewleys closing in Dublin this week, its interesting to see it recommended here under the Places to Eat section. 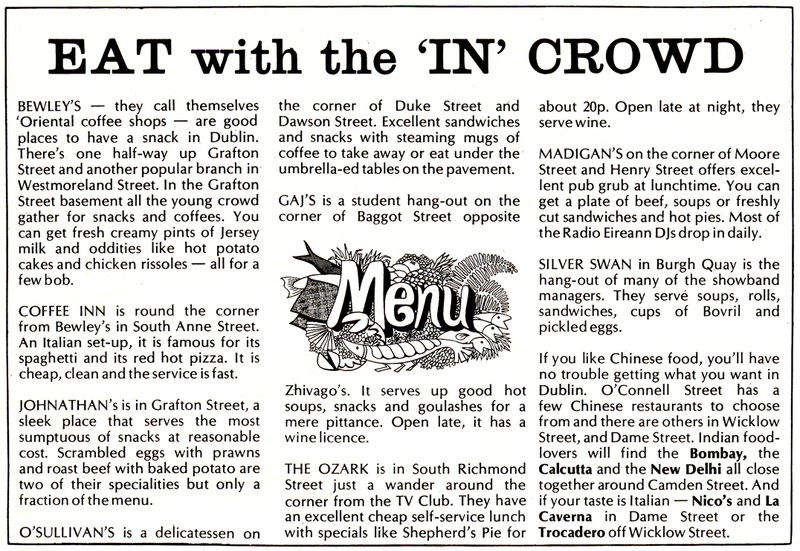 We also ran a post last week with scans from this same guide with recommendations for fashion shops and boutiques. 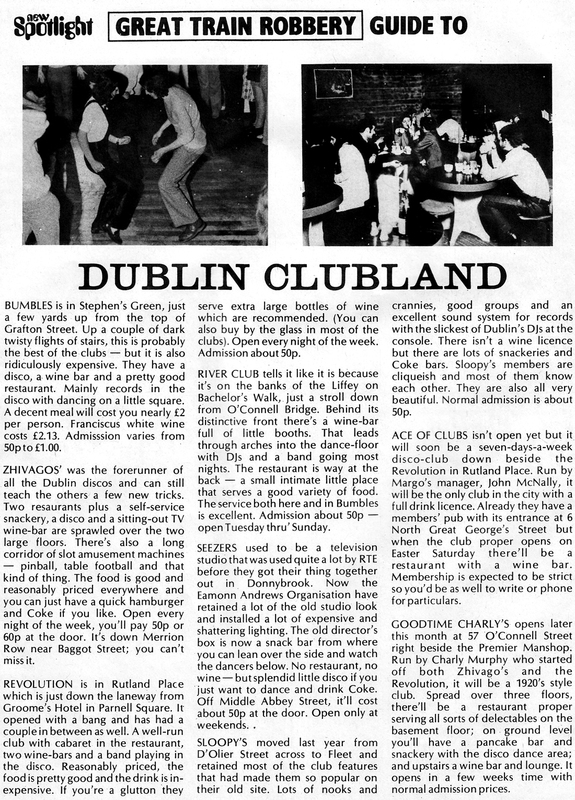 If you have an interest in the Dublin Nightclub scene from this period, make sure to check out our previous posts on Nightclubs particularly the thread on this Sloopys post where you get a great insight into the club scene at the time from the 160+ comments posted by club regulars. how great..the peak year of glam rock.